The Oak Ridge Boys have been headlining in Don’s Celebrity Theatre at the Riverside for more than 30 years. They will return with their “Shine and Light Tour” Monday-Sunday, Feb. 4-10 with 7 p.m. shows and 3 p.m. matinees on Feb. 5, 6, 7 and 9. Tickets are $40. With their distinctive and recognizable four-part harmonies and upbeat songs, it’s no wonder the group has had four decades of charted singles. 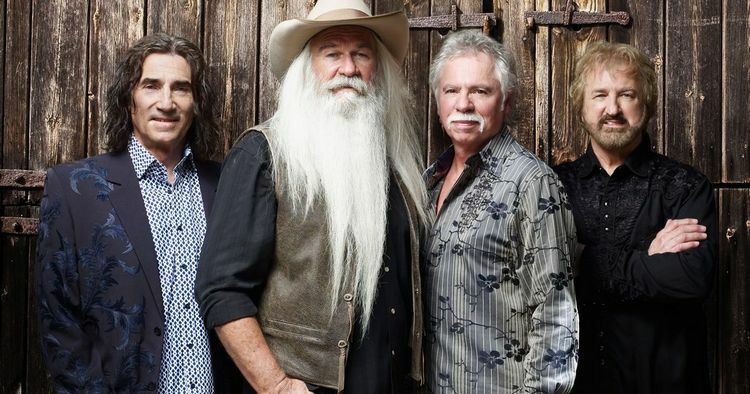 The Oak Ridge Boys are known for singing about love with such classic hits as “Bobbie Sue,” “Ain’t No Short Way Home,” and their catchy platinum tune, “Elvira.” Their talent has earned them Grammy, Dove, CMA, and ACM awards. 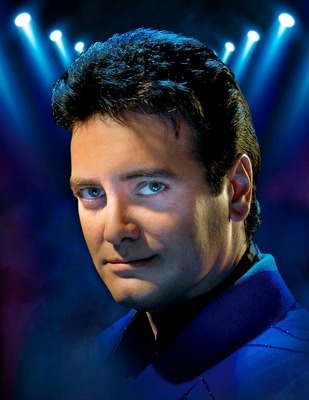 “The Magic of Rick Thomas” will take over the Fiesta Showroom at Harrah’s, Wednesday-Sunday, Feb. 13-24 at 8 p.m. Tickets start at $32.11. Thomas, a star of both “Masters of Illusion” and “The Illusionists” on Broadway and a decade-and-a-half run on the Las Vegas Strip, will present his intriguing, innovative and mind-blowing magic. The illusionist embarked on his magic career at age 7. By 18, he was performing his own production at Disneyland Hotel for two years. Since then, he’s performed on more than 300 cruises and at more than 50 major expositions. Thomas also designs and produces magic productions for large corporations. Before magic at the age of 5, Thomas, whose family was already active in ballroom dancing, began teaming with his sister Tamara in ballroom dance competitions. In their teens, they won the title Amateur United States Ballroom Dancing Champions. 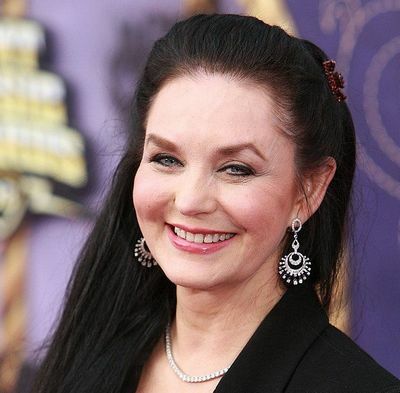 The lovely Crystal Gayle will headline Don’s Celebrity Theatre at the Riverside Feb. 14-17 at 7 p.m. Tickets are $35. Since her first hit song, “I’ve Cried the Blue (Right Out of My Eyes)” in 1970, Gayle has had 20 number-one country hits including, “If You Ever Change Your Mind,” “Too Many Lovers,” “The Woman in Me,” “Til I Gain Control Again” and “The Sound of Goodbye.” Recorded in 1982, her duet with Eddie Rabbitt “You and I” has become a popular wedding song. Tim McGraw, singer, songwriter and actor, will open this year’s Laughlin Event Center concert season on Saturday, Feb. 23 at 8 p.m. He first appeared at the outdoor venue to a near-sellout crowd in November 2014. Tickets start at $90. The country superstar has sold more than 50 million records and dominated the charts with 43 worldwide No. 1 singles. He’s won three Grammy Awards, 16 Academy of Country Music Awards, 14 Country Music Association Awards, 11 American Music Awards, three People’s Choice Awards, plus numerous other honors. His career-long tour successes include the record-setting “Soul2Soul The World Tour 2017” with his talented and gorgeous wife, Faith Hill. This is Part 14 of a series. Read Part 1 (Searchlight), Part 2 (Cal-Nev-Ari), Part 3 (Laughlin), Part 4 (Laughlin), Part 5 (Laughlin), Part 6 (Laughlin), Part 7 (Laughlin), Part 8 (Laughlin), Part 9 (Laughlin), Part 10 (Laughlin), Part 11 (Laughlin), Part 12 (Laughlin), & Part 13 (Laughlin). 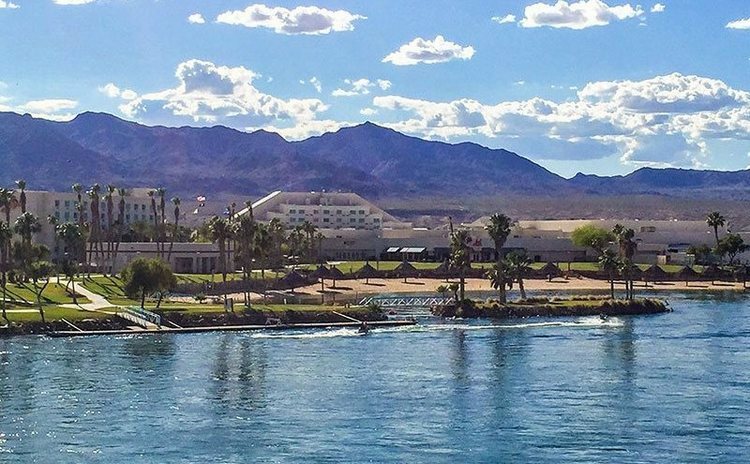 Have you heard of the AVI Resort & Casino in Laughlin? Unless you live in the general vicinity, probably not! That is probably because the AVI is not located on the Strip area of Laughlin on Casino Drive. 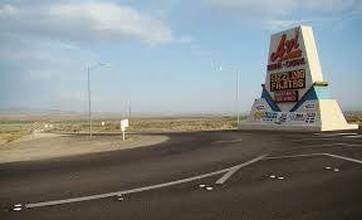 It is farther south, as in 14 miles south of the largest Strip hotel, Harrah’s, and is an easy drive. You will take Casino Drive south past Harrah’s until it ends at Needles Highway. You will know you are at Needles Highway because it is the first stoplight after Harrah’s, and you will have to turn either left or right; otherwise, you will go into the driveway for Gilligan’s, a small local’s tavern. Once you turn left onto Needles Highway, you travel south to the Aha Macav Parkway on the 4-lane highway. There is no stoplight at this road, just the white AVI Hotel/Casino sign in the middle of the Parkway entrance. If for some reason you miss this entrance, and you’ll know because the road cuts down to a 2-lane highway, you can travel further south on Needles for their second entrance. There will eventually be a sign indicating “Aha Macav Parkway 1 Mile.” The road will become a two-lane road with a left turn lane added. Again, there is no stoplight, so don’t miss the turn; it’s your last chance before getting farther into California. The AVI is owned by the Fort Mojave Tribe on Indian land and is one of two tribe-owned Indian casinos located in Nevada. That being said, please make sure you follow the law while driving or for any other activities while on tribal land. You will be arrested for speeding and for any infractions against their laws. 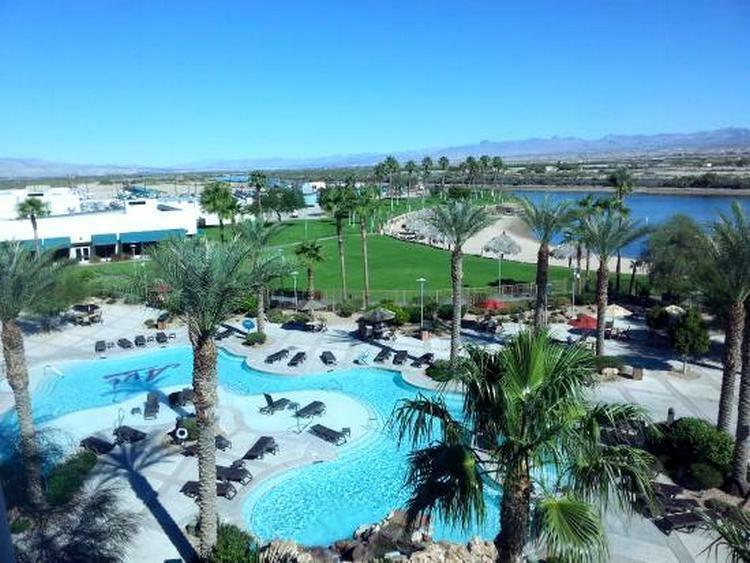 Most of the Strip hotels in Laughlin consider themselves Resorts; but, AVI is a resort in the true sense of the word. They have everything right there on their property. You can golf, stay in the hotel, lay on the large beach, watercraft on the Colorado River, park your RV in their large RV lot, picnic, buy and set off fireworks, gamble, golf, attend movies, and do more without going any distance or hiring taxis to get you there. So, let’s dig deeper into this area to see exactly what they have to offer! Besides their 260 space RV/KOA Campground, they have 465 rooms in the hotel, with safes and flat-screen TV’s included in all rooms. Their Standard King rooms were recently remodeled since they started remodeling in July, 2018; but they do not include coffeemakers. (They encourage you to go to Mojave Roast for your caffeine fix.) For those requiring a mini-refrigerator they are given out on a first come, first served basis, for a charge of $10 (+tax) per day. If you are staying in a suite, they do include coffeemakers, refrigerators and microwaves. You will also have a Jacuzzi tub along with a walk-in shower, wet bar, and a larger flat screen TV. They have a huge outdoor parking area, plus a garage, and it’s free to park in either of the locations. For guests, the RV park provides 24-hour shuttle service between the campground and the hotel. They have a picnic area with grills, free Wi-Fi, a laundry facility, cable, and a dog run section. And you have free access to the pool, private beach, boat launch, and fitness center, which is on the 4th floor of the hotel. Note: They do not allow tent camping. You must have a hook up to electric, water and sewer to stay in the campground. As I tell everyone when they are going to a new hotel with a casino, get a players club card! They are free and can save you some dollars around the property. Show it whenever you go to eat and to the shops to see if they have a discount available. In the case of this hotel/resort/casino, Thursdays (unless it’s a holiday) give you discounts at the buffet and Kids Quest. Plus, if you are gambling with your card you will receive 2x points on slots and video poker. Note: You must swipe your players card at the Kiosk to choose and receive these offers. There are a number of places to chow down at the Resort. Native Harvest Buffet has been remodeled recently and opens at 7 a.m. for brunch, every day except Sunday. On Sunday they open at 8 a.m. for their Champagne brunch. The brunches usually end at 1 p.m. during the week and 2 p.m. on Saturday and Sunday. Dinner buffets begin at 4 p.m. each day with specialty nights Friday and Saturday. Their seafood night has excellent, large steamed crab legs and their Shrimp Scampi bar has been good too. They have a Flambe station. Note: They have a 2-for-1 coupon available on Thursdays. You have to be a myAdvantage player club member and print your coupon from the Kiosk before you go to the buffet. Feathers Café is their 24-hr. eatery, except from Tuesday at 11 p.m. until Wednesday at 6 a.m. when they are closed for cleaning/setup. They have monthly specials and daily features, so ask if you do not see them listed. For the month of February, their special is a California Omelet for $11.99, listed as a 3-egg omelet with hash browns or breakfast potatoes and toast. Daily features are usually $8.99 and include Taco Tuesday, Grilled Meatloaf Wednesday and Turkey Pot Pie Monday. Mojave Roast is a newer addition to the AVI. This is your coffee spot for the usual breakfast drinks beginning at 6 a.m. daily. They close early, at 1 p.m., Sunday through Thursday and are open until 6 p.m. Saturday and Sunday. They also have monthly specials and are featuring a 16 oz. or 20 oz. raspberry cheesecake latte in February; 16 oz. is $4.25 and 20 oz. $4.75. Moonshadow Grille is their nightly dining option which opens at 4 p.m. serving steaks, seafood and pastas. If you’re into fast food, their selection is Panda Express, Thrifty Ice Cream, Sbarro Pizza, and Subway. Note: You should ask whichever place you are ordering from if they have the 10% discount: some do, and some don’t. Outside of the hotel and across the long parking lot is a Pancho Villa’s Taco Shop. It is located by the gas station in the building with the Smoke Shop and Mini-Mart, which sells fireworks. They have minimal seating, so you might want to take your food back to your room to eat unless you find another spot. 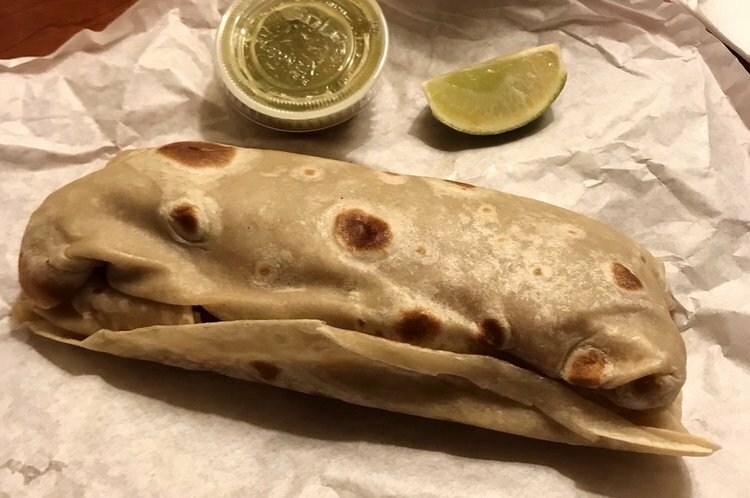 And, not to get you hungry, but they have huge burritos (photo above) and tacos, enchiladas, tamales, quesadillas, menudo, tostadas, and tortas in a wide variety of beef, chicken, pork, seafood, beans, and veggies, as single items or in combos. They provide a self-service salsa bar also. And their food is good and reasonably priced for what you receive. They have breakfast burritos and a kids menu and are open 7 days a week. The AVI also has a tiki bar by the beach area which usually has good drinks and food; however, it is closed for the season. Speaking of the beach, theirs is large, sandy and private and requires a wristband to enter with a daily use fee. They also have 2 pools, 1 of which has 2 small waterfalls. They do not allow tubes, rings or other floatable devices in the pool area, nor any ice chests or coolers. They do have lots of lounge chairs and tables with umbrellas to use if you are a guest. Some other nice features of the Resort area are the Brendan AVI 8 movie theater with stadium-style seating which is not too crowded most times. They have a Kids Quest (discount on Thursdays). There is a massage room on site charging $30 for 30 minutes or $60 for 60 minutes. 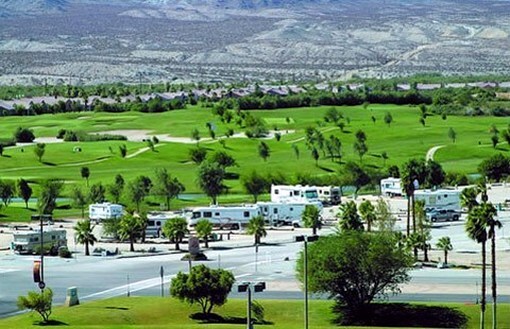 And, finally, the Mojave Resort Golf Club is just west of the RV/KOA park.